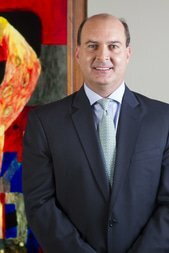 Luis Carlos Rodrigo is head partner of Rodrigo, Elías & Medrano Abogados. He also leads the natural resources and environmental area of the firm and advises local and foreign companies that develop activities in Peru, being in the board of several of them. Mr Rodrigo graduated first of his class in 1990 at the Universidad Católica del Perú and then obtained an LLM from Yale Law School (1993). For his postgraduate studies, he received the Fulbright Scholarship and afterwards the Ford Foundation Scholarship to perform research on international arbitration issues also at Yale Law School. He teaches mining and energy law at the Universidad Católica del Perú and the Universidad del Pacífico and has participated as speaker and panelist in several national and international seminars and conferences on foreign investment issues, topics on which he has written several articles for different law magazines. Mr Rodrigo is a council member of the Section on Energy, Environment, Natural Resources and Infrastructure Law of the International Bar Association (IBA), co-chair of the Latin American Regional Forum of the IBA and Vice President of the Latin American Association of Mining Lawyers. Former President of the Canada–Peru Chamber of Commerce.